REALTORS blog for various reasons. 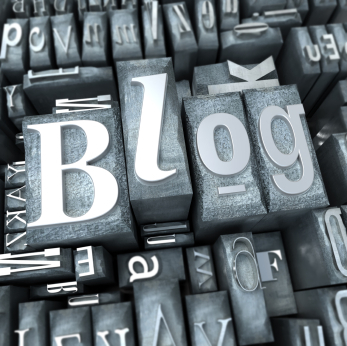 Typically, blogging in real estate consists of blogging for blogging’s sake, or blogging for leads and commissions. Or, maybe you think you’re blogging for leads, but you’re just not getting any. Why waste time and effort if you’re not ending up with qualified leads that result in transactions and commissions? You can balance your other lead-generation activities, like networking and traditional advertising, with your blogging. It can be a valuable resource for more deals every year. We decided to consult with some real estate agents who make more than half their commission income from leads they generate on their blogs. Here are some tips they shared with us that you can use. Blog for your site visitors; buyers and sellers: you will be using SEO-friendly strategies, keywords and phrases, and stuff like that, but your blog posts should be written to meet the needs of your visitors. They need to be easy reading and informative. Use images and video: today’s user is using high bandwidth mobile and desktop technology, so you want to present them with stimulating image and video content that helps them to know your market area, not just your listings. Write about the process: this is for SEO as well, as people are searching every day on terms that relate to the real estate negotiation and transaction process and real estate in general. One blog’s statistics show a great many visitors arriving on searches with the market area name followed by terms like: “property taxes,” “title insurance,” “first offer price,” “repair negotiations,” “mortgage brokers,” and more. This is all about establishing you as a local real estate expert. Statistics, statistics, statistics…: Whether buyers, sellers, investors, appraisers or other interested parties, everyone loves the “numbers.” Blog posts on a monthly, quarterly and annual basis with statistics about sold properties, sold prices, trends and more will draw a loyal and repeat audience. Again, you’re positioning yourself as the local market expert. You should be able to get these statistics right out of your MLS software. Check out our post on real estate statistics here. Use third party content: JetPack or Postie as a third party plugin will make it easy for you to post via email, sending the content of a post into your WordPress blog with an email. This feature is handy, but for a reason few have considered. Encourage third parties, like homeowner associations with email newsletters, local inspectors, title companies and others to send you current updates via email. They’re all using email, but few are into blogging or posting their email information on websites. Getting their updates via email, you can forward them into your blog with a few clicks, taking a couple of minutes but adding informative and SEO-friendly content to your blog. Take these six simple tips under your wing, make them happen, and you’ll find that you get more stickiness on your site, as well as better leads and more closings from your site. If you’re interested in learning more about blogging-on-the-go, check out our post here. This is a great article and on point with everything you suggest. It takes time to create an effective and interesting blog post. I work with Tom Mattix and come behind him with specific blog posts. He is starting to blog now, and the most important thing is to simply start. It is a process to do these correctly and more important to understand the mechanics of blogging and not focusing on being perfect when you first start. One of the blog posts on Tom’s site was specific to listings in Pacific Beach and Mission Beach for the week ending 8-16-13. I pulled the MLS #’s from Sandicor, put them into notepad and separated them into commas. Then I created a unique link in Diverse Solutions and added the MLS numbers. I know it seems like a pain to do this, but the end result is great for seo and good information for your website readers. You can create links that are valuable, optimized and easy for your visitor to find the information. It seems like a ton of work for 1 post! One post done right makes all the difference to the stickiness of your site and being found in the search engines. You can use your Diverse Solutions in so many ways, happy blogging! I plan on starting a blog soon. There are many good points here I will use. Thanks!